It’s always a good idea to keep tabs on your credit score. After all, this three-digit number holds a lot of power when it comes to your financial and borrowing potential. 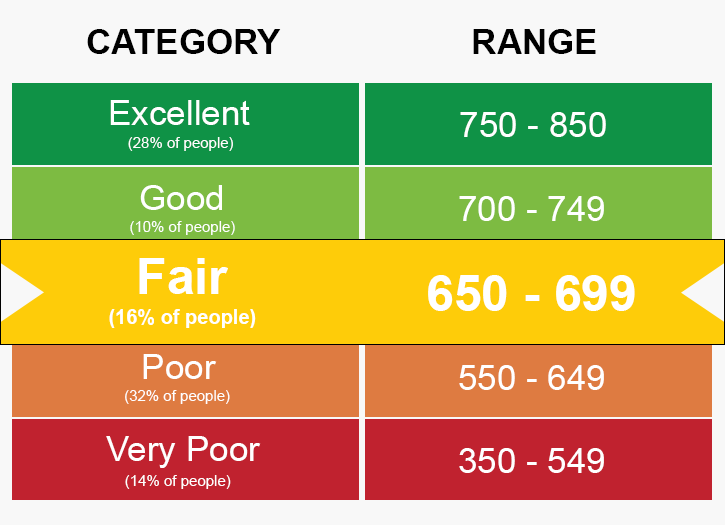 And while it’s never a bad thing to have an account with one of the various reputable credit scoring sites, you might be surprised to learn that you’re likely going to get a different credit score on each scoring website that you use. It’s why we always recommend that you stick with one credit scoring website – and that credit scoring website only. Why the Difference in Scores? Basically it all amounts to the formula that a particular website uses. All of them use a different formula, and while some are able to calculate a credit score closer to your actual FICO score than others, know that no one website you use will provide you with 100 percent accuracy. Try to think of checking your credit score online as a means of just getting a general idea of where you stand. It’s not going to be exact, but chances are it’ll be pretty close to what your actual FICO score is. Generally speaking, the best websites to check your credit score are the ones that charge you a small fee to do so. It’s typically these websites that use the best formulas and have developed a formula that’s close to how the FICO score is tabulated. Just make sure that the site you use is reputable, like Scoresense.com, CreditCheckTotal.com and PrivacyGuard.com. With these sites, you’ll be paying for the accuracy of your credit score via a monthly fee after your discounted trial period expires. You’ve likely heard of CreditKarma.com, as it’s one of the most popular free sites for checking your credit score. While this is certainly an option when it comes to monitoring your credit score, it doesn’t use as accurate of a scoring formula as the pay sites we mentioned above. Noting this, your CreditKarma score might be up to 20 points off from your actual FICO score. The aforementioned pay sites usually come in much closer to what your actual FICO score is. If you log on to AnnualCreditReport.com, you’re entitled to one free credit report per year. While this credit report won’t tell you your FICO score, you can usually get a pretty good idea of where your credit stands just by looking at your record. We always recommend that all consumers take advantage of receiving this free credit report, as viewing it makes it easy to analyze ways to improve and can also sound an alarm if there are any discrepancies with it that need to be addressed. Bottom line: It’s important to monitor your credit score, and the Internet makes it easier than ever to do so. Just make sure you do it with one website, and stick with that one website.